Written by Madani Coumare, RENAPESS, member of RAESS and RIPESS. Public policies are measures to support areas that are at risk or need to be further developed in order to provide sustainable structural responses to challenges. 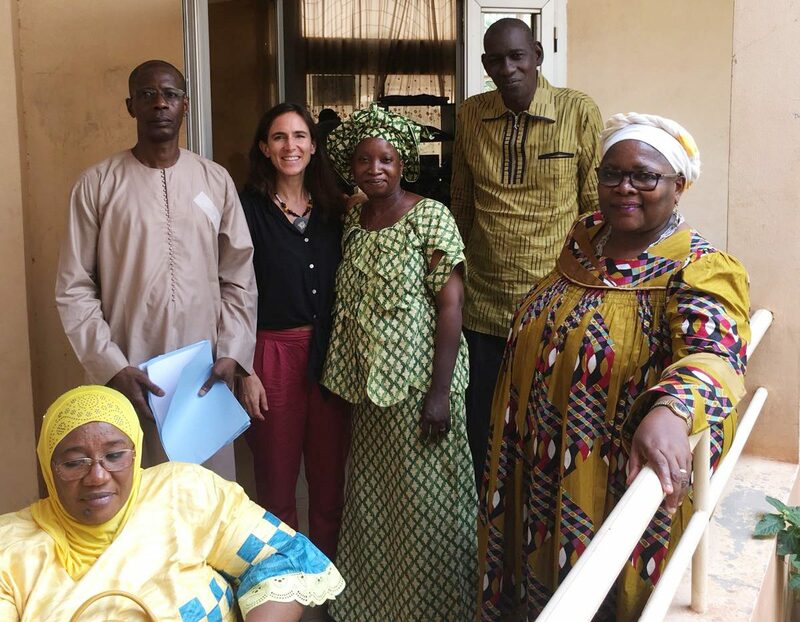 Thus, under the impetus of the national support network for the promotion of the social solidarity economy (SSE) in Mali and with the support of the Canadian Centre for International Studies and Cooperation, the Government of Mali adopted, on 6 October 2014, a national policy for the promotion of the SSE and its first five-year action plan. Despite the importance of the place and role of SSE organizations in the Malian economy, there are many problems to be solved within them or in their environment, both in general and specific terms. the inadequacy of technical support (training, monitoring and advisory support) for SSE organizations. The aim is to provide the actors with a legal instrument (a national law) to enable them to carry out their activities as effectively as possible in harmony with the various legal frameworks that govern economic activities in the country. This required building a political dialogue and strong advocacy. RENAPESS obtained from the Government that the dialogue be structured through a committee representing all sensitivities legally instituted. The aim was to give all parties the opportunity to contribute to the development of the content of the legal framework (the law) that will govern them has to be designed with them. A formal framework for the drafting of the law has been created through a decision of the Department of Institutional Oversight. A political dialogue has been initiated between the public authorities and the SSE organized in Mali at the beginning of the process of developing a national policy for the promotion of SSE since 2009 under the joint leadership of the National Directorate of Social Protection and the Solidarity Economy (DNPSES), acting on behalf of the Ministry in charge of the SSE and the National Network for the Promotion of the Social and Solidarity Economy (RENAPESS). Participation in workshops to prepare and validate the draft bill, throughout February 2019 under the leadership of the Ministry of Solidarity and Humanitarian Action. Exchange forums were organized throughout the process with three (3) working groups, including representatives mandated and prepared by the SSE organizations. To better articulate the solutions proposed by the law and facilitate their understanding by all citizens and actors at different levels, the law adopted the definitions of the SSE concept and the categories and characteristics of SSE actors and organizations in Mali proposed in the national policy document for the promotion of SSE. In accordance with Mali’s national policy to promote the Social Solidarity Economy, it is the set of activities for the production and distribution of goods and services carried out by cooperative societies, mutual societies, associations and other organizations of a particular type based on solidarity, sharing and democratic functioning by placing people at the centre of the process of creating and enjoying wealth. In the light of these definitions and in view of the stakes and challenges of SSE development in Mali, the draft law addresses the following aspects considered essential for a framework conducive to the development of SSE in Mali. Typology of SSE organizations and actors. Characteristics and registration procedures for ESS organizations. The administration of SSE organizations. Conditions and means of development of SSE organizations. Roles of the State and local authorities in promoting SSE. Networking and unions of SSE organizations. Incentives for the promotion of SSE. Tax and accounting regime applicable to SSE organizations. Promotion of fair trade and the universal development values of SSE. Social protection of members of SSE organizations. Migration from the informal sector to SSE. Rules applicable to legal changes in SSE organizations. Miscellaneous, transitional and final provisions. The roles and responsibilities of the State and the actors of SSE organizations, including those that can be shared, are well defined. Social enterprises develop better with tax, customs and land benefits. Transitions from the informal sector to SSE are better managed. The contribution of SSE to the creation of national wealth and employment and its role in socio-political stability are further valued and strengthened. We will remember that despite the power of an ad hoc union of civil servants who were opposed to any proposal for advantages and facilities aimed at a better development of SSE activities and guaranteed social protection for its actors, with the argument that these provisions distort competition on the market, we had to brandish the asset of our legitimacy, which is essential for the adoption of the law at the parliamentary level. It is understood that laws are social productions that are intended to solve citizens’ concerns at a given time. To this end, the adoption process at parliamentary level has provided for listening to citizens who hold rights to ensure that their concerns are well-founded, i.e. whether they are really taken into account by the project to be examined. The process was certainly marked by pitfalls between the senior officials of the department mainly in charge of taxation, but it was finally sanctioned by the adoption of all the proposals that take into account all the concerns of the SSE organizations in the draft law.